The tiny Amp 1L packs an impressive spot beam. 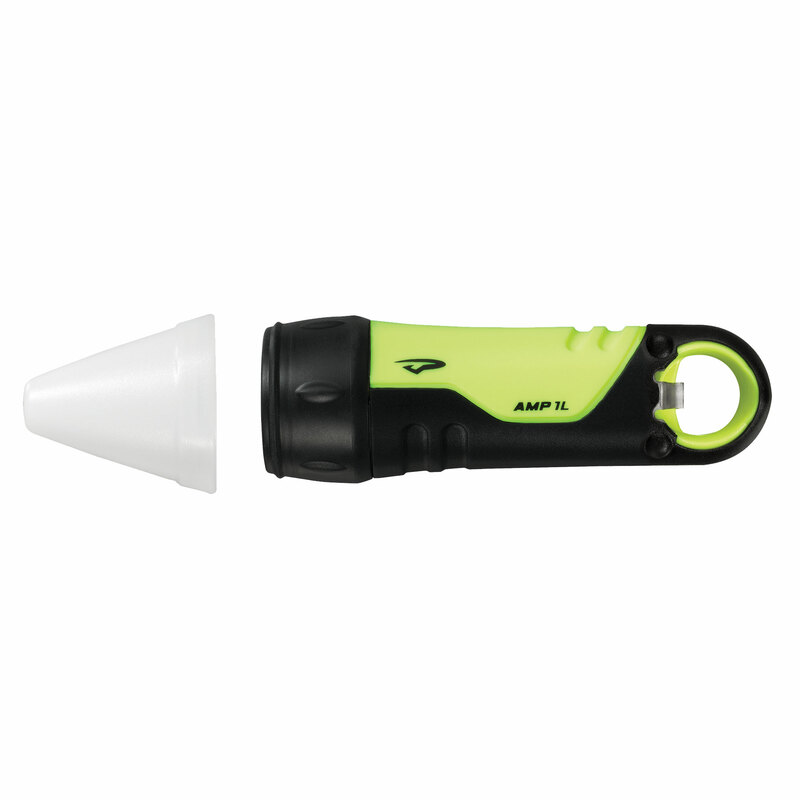 Waterproof to 100M (330ft) and equipped with a large carabiner loop, this handheld light is ready for any conditions and easy to clip onto gear. 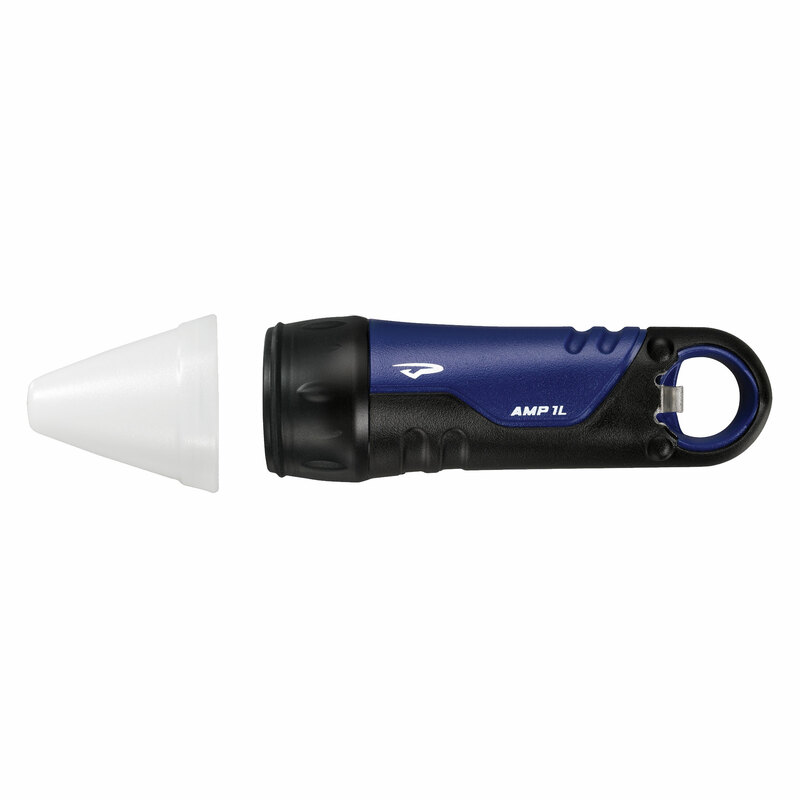 The Amp 1L comes with a snap on translucent cone to turn it into a marker light, hanging lantern or area light. 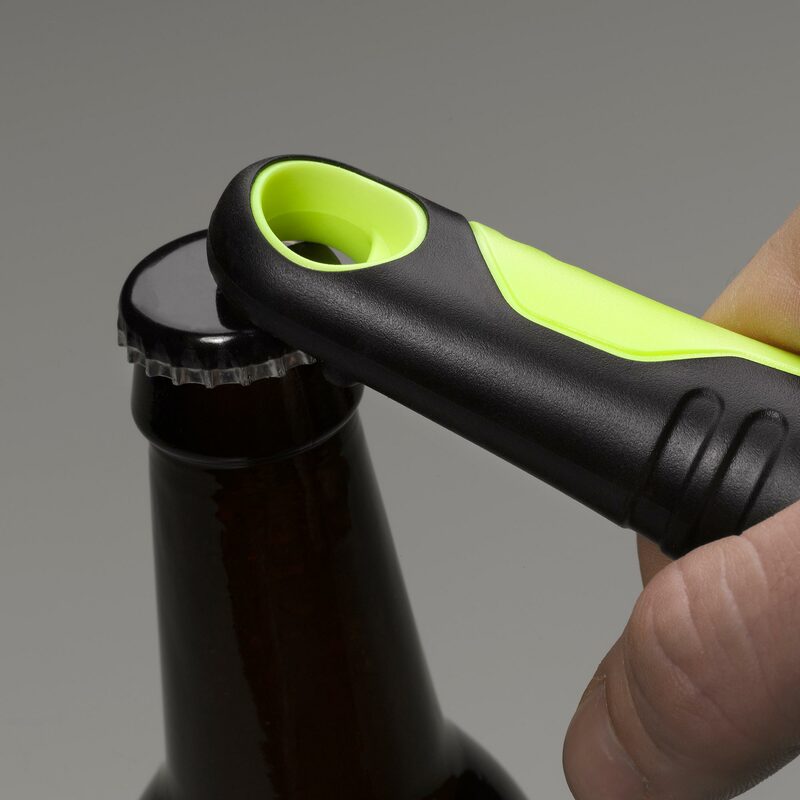 When you are done exploring, the Amp 1L will still be your favorite piece of gear with its built-in bottle opener. 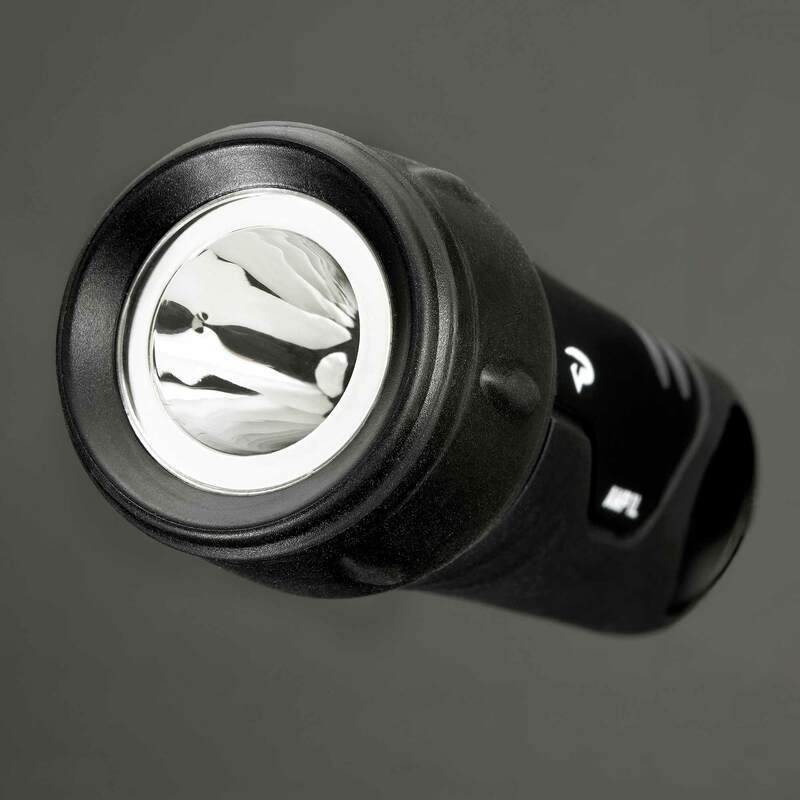 If you are looking for a light source for your kayak, check out the Amp1L Kayak Mount. 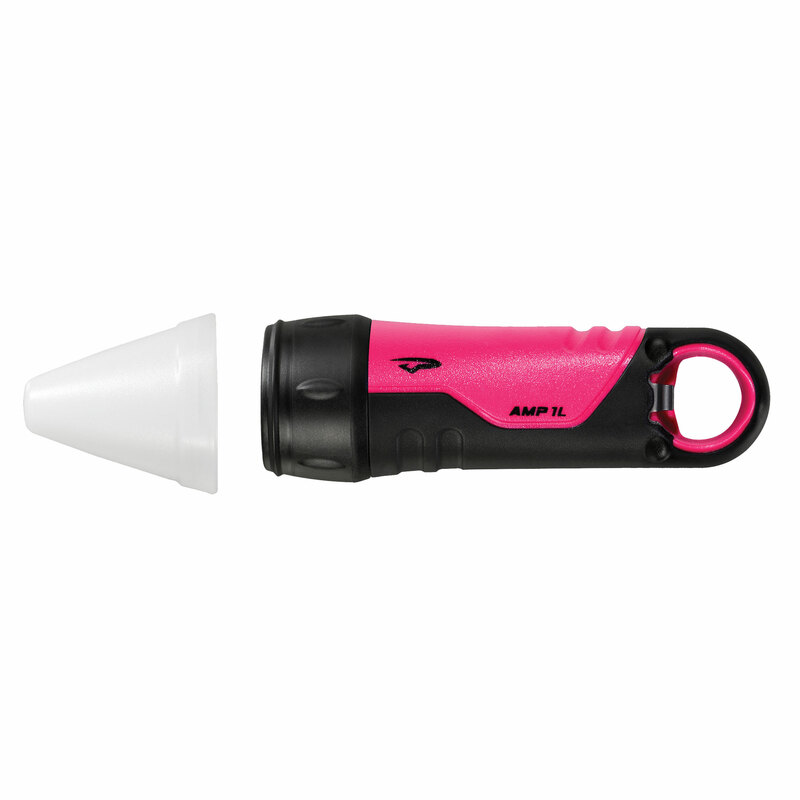 Additional light diffusing color cones (red, blue or green) are sold separately. Whether expected (a trip!) or unexpected (an unplanned turn of events), having an easy to access, dependable light on you could make all the difference, where ever you end up.